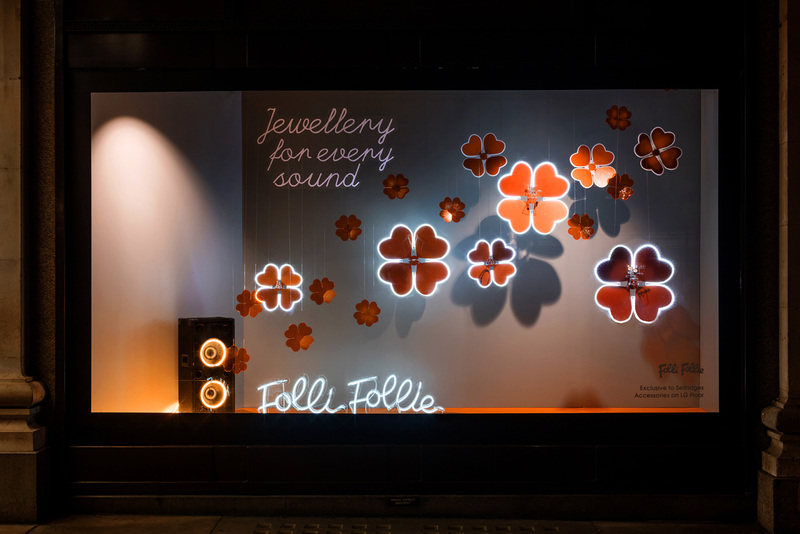 Prop Studios had the pleasure of working with international jewellery and accessories brand Folli Follie to display their first window in Selfridges, London. 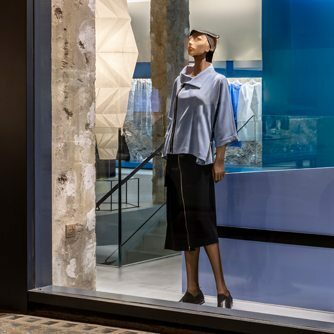 Our brief was to highlight the brands’ exclusive products in a chic, bold and playful way. 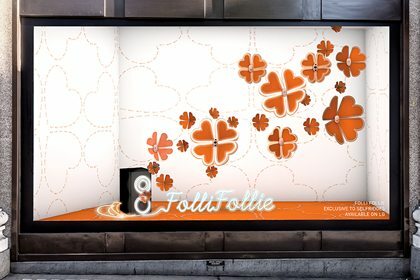 As part of Selfridge’s current campaign ‘Music Matters’, the aim was to convey and design Folli Follie as a type of music. 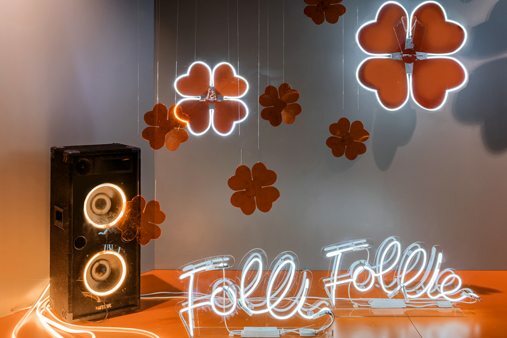 The Music Matters campaign at Selfridges reasserts the importance of collective experiences in sound. 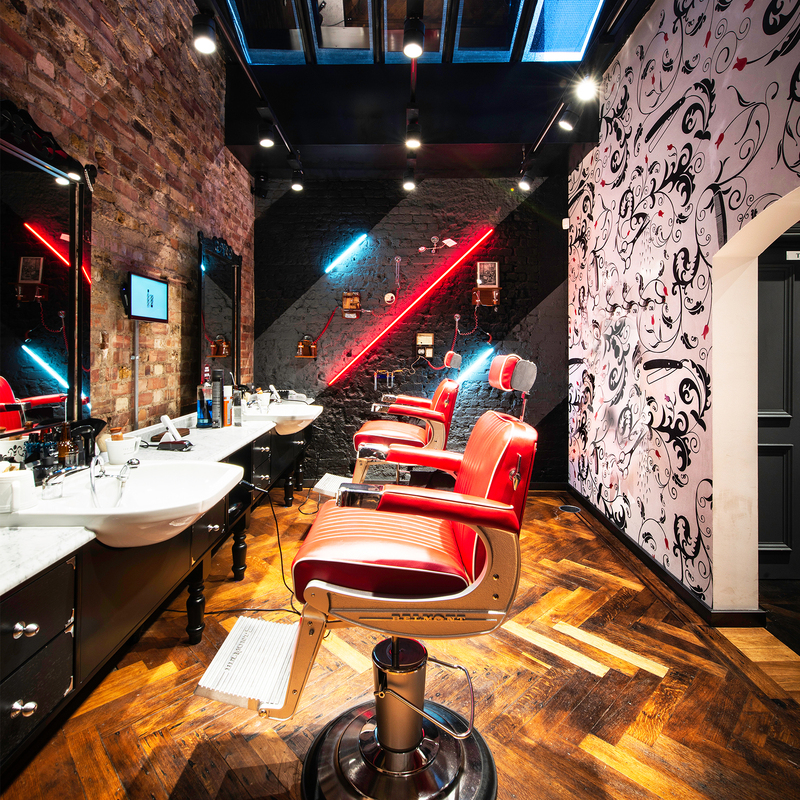 The campaign has been inspired by the closure of many iconic live music venues over the past few years. 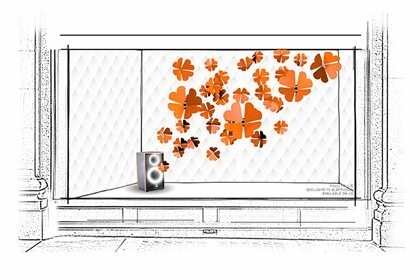 Incorporating the brand’s vibrant orange and warm grey colours, the team based their concept on a modern and minimal representation of music escaping from a speaker. 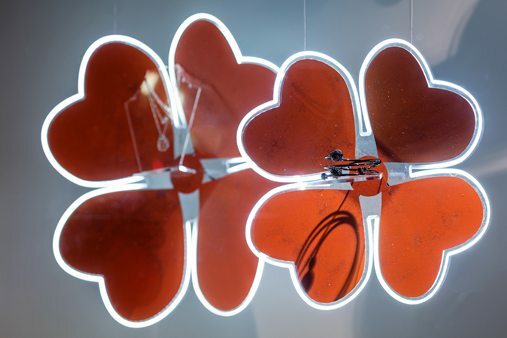 Using the brands ’Heart For Heart’ motif, the shapes disperse elegantly across the window, suspended at various levels, to embody sound escaping. 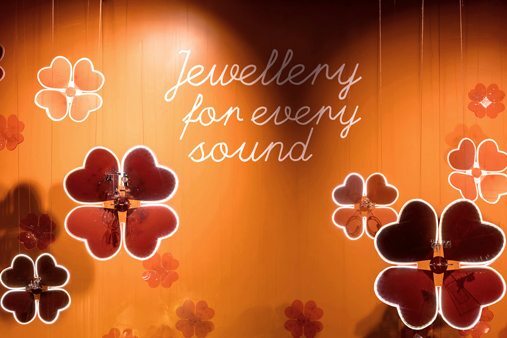 Product is seamlessly integrated using the Perspex hearts as the perfect backdrop to highlight the watches and jewellery fitted to a free-standing clear acrylic panel. 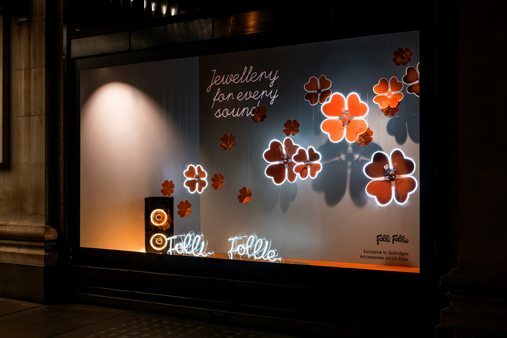 Details included illuminating the motifs with LED lighting and edge lit acrylic. 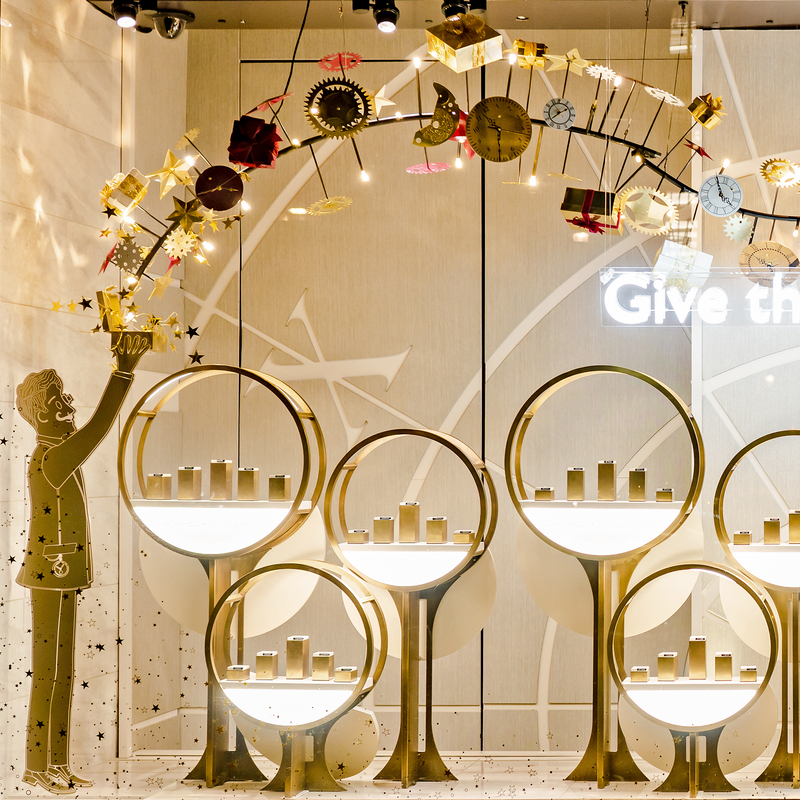 Additionally, gun metal silver glitter was applied to the centre of the motifs, glistening as they catch the light. 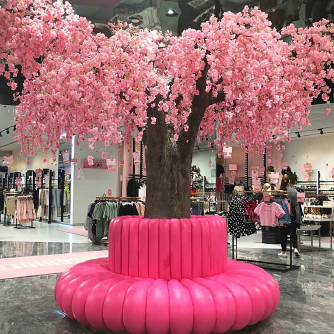 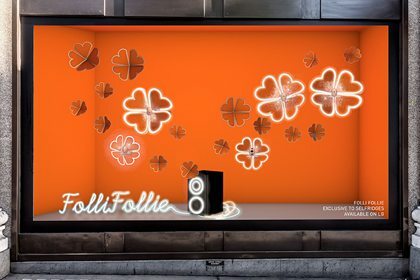 Folli Follie launched seven new collections using the two large windows and four additional tank windows situated at the entrance to attract onlookers to visit their pop-up. 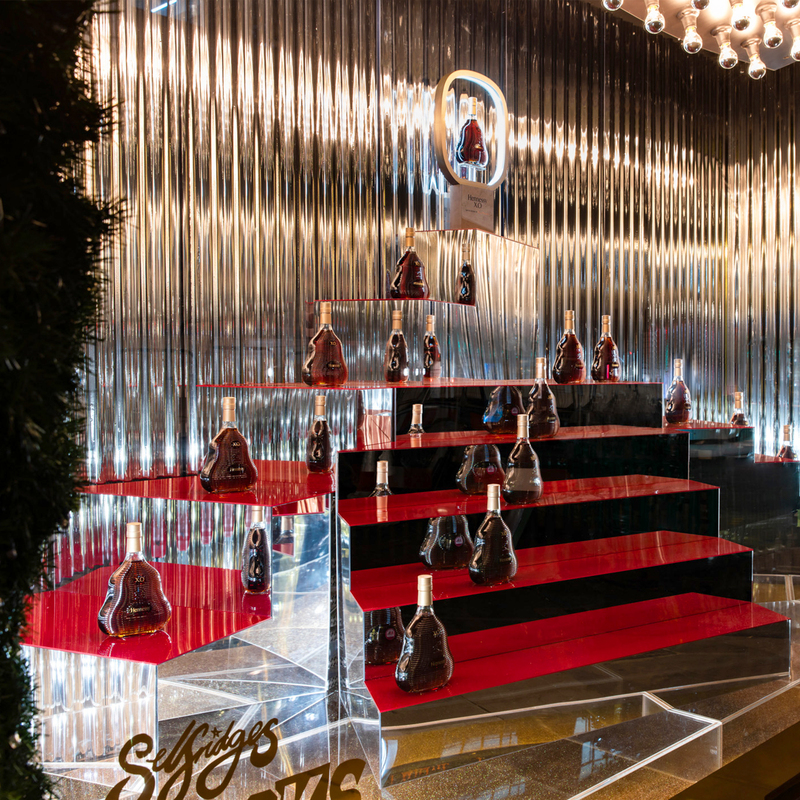 situated on the lower ground at Selfridges. 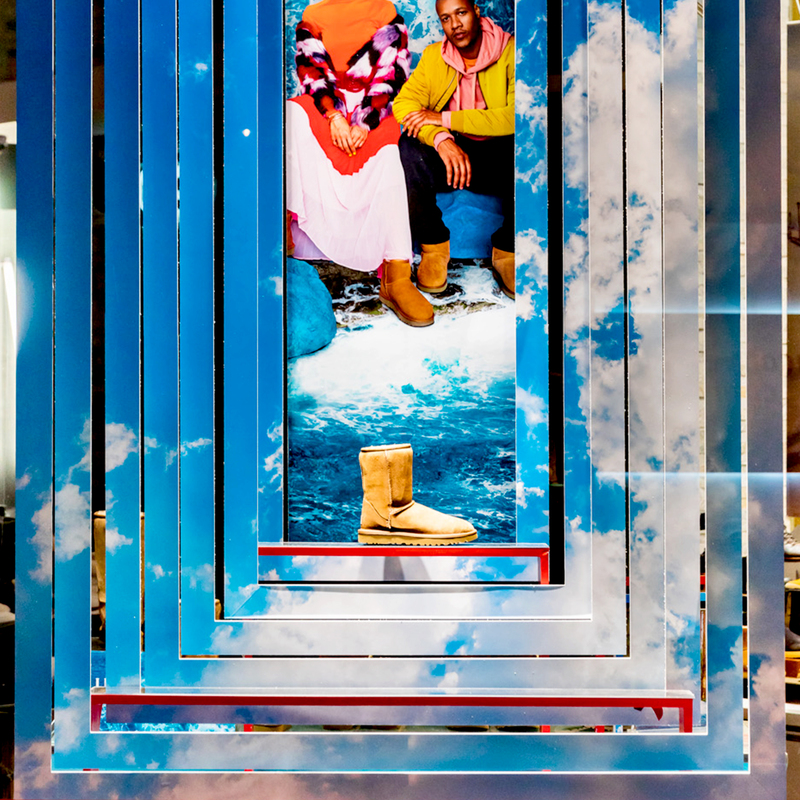 The new range is exclusive only to Selfridges, both online and in-store.